Get a jump start on your Dallas wedding with our helpful tips to make your wedding photos even better. Helpful tips: We've captured many a ceremony & reception at the Dallas Arboretum ranging from garden weddings to lavish affairs. We encourage you to consult with your wedding photographer about timing your service before you set it in stone. Depending on the date and sunset, combined with your vision for any signature portraits of the two of you and your family pictures, the best time for your ceremony can range. Don't become the bride who finds herself taking family pics in the dark when there is so much potential for creating beautiful memories for you and your loved ones. Right in the heart of the Downtown Arts District, this incredible venue can host your wedding & reception. It's where my own reception was held just a short walk from First Baptist Church or many of the surrounding churches. There are limitations regarding the load in time (after the museum closes) but rest assured, the right wedding professionals can transform the space before you make your grand entrance. 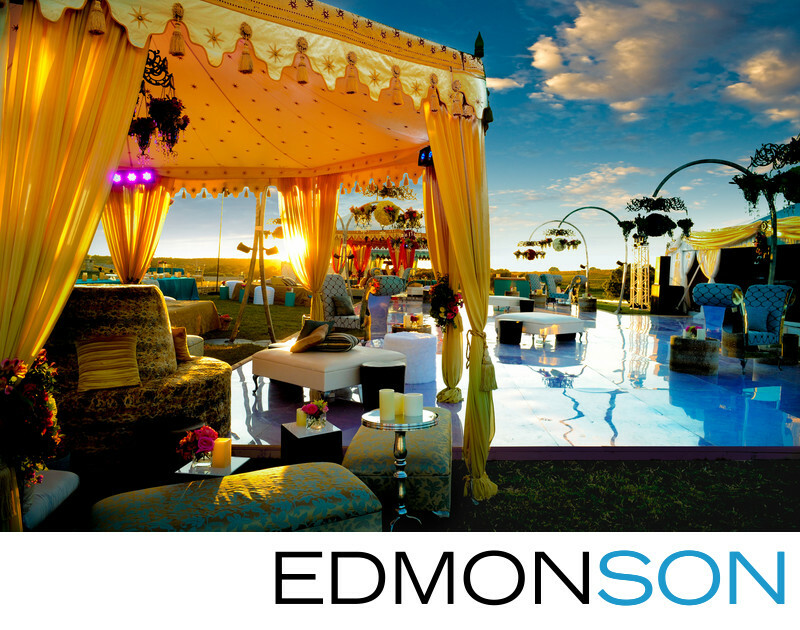 For a modern wedding in DFW, you couldn't ask for a better location, the outdoor sculpture garden is an ideal setting. The Ritz is the Ritz. As their famous motto says, "Ladies and Gentleman serving Ladies and Gentleman." You could get a standard sized room to get ready in there before your wedding anywhere in DFW. It's better that you spend the money on a suite to get the space you need for the best preparation shots. Often the bride will get a suite and the groom is left as an afterthought. Space is good for him too! We've seen luxury ceremonies and receptions at this venue. We've also seen simpler affairs. From bridal luncheons at Fearings to transformed ballrooms for birthday parties, the Ritz is a popular location for Jewish weddings and Indian weddings in Dallas.